The subject line is arguably the most important part of an email message. That’s why email marketers are so focused on getting it right. To help you get your subject lines right, we’ve put together subject line templates based on the top ten best performing subject lines right now. They’re designed to boost opens, clicks, and sales. If you’re new to email marketing and want some background for the best practices with email subject lines, we’ve got two blog posts that can help. Start with 9 Tips for Writing Email Subject Lines That Work and then check out How to Pick the Perfect Email Subject Line Every Time. Best practices and research are helpful. But testing subject lines is the best way to find out what works for your audience. It’s easy to do with Pinpointe. We created a tutorial with detailed steps and screenshots for how to do a set up a complete split test. 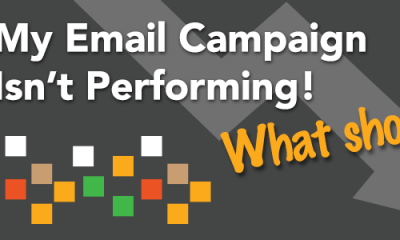 There’s also a discussion about how to analyze your email marketing results. Be specific, but leave an information gap. Numbers and dates work well in subject lines. They make the message seem more real, believable or urgent. Add that interest to an “information gap” and it can be an irresistible combination. The classic information gaps come from viral powerhouses like Upworthy. Their headline templates “We [something uncommon] and you’ll never guess what happened next!” are condemned for being clickbait, but they work almost every time. Just don’t be deceptive with your information gap. That is clickbait. It might work the first few times, but it erodes your reader’s trust in you. See the first template below for a business example of something specific, but with an information gap. If you were your subscriber, looking at 200 emails in your inbox after just arriving late to work, what would you click? There’s nothing as powerful as putting yourself in your subscriber’s shoes. Usually this exercise forces you to hone in on not only what your subscriber cares about most, but which urgent, pressing problem they have that your email could solve. 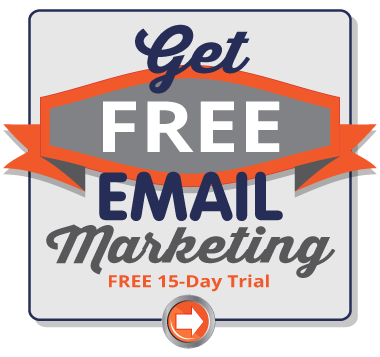 Are you collecting more than just an email address in your opt-in box? Come on, I know most of you probably are. Some of you are gathering quite a lot of info. It’s time to get brave and use it. Pinpointe makes inserting dynamic fields very easy. And if you’re still not sure about it, call us and we’ll walk you through how to do it. We checked our [analytics or other type of statistics] – you won't believe what happened next. See the first guideline for writing subject lines about why this works. How (and why) to calculate [super-critical metric for your subscribers’ businesses]. This is based on the #1 best performing email Ryan Deiss sent in 2014, which was “How (and why) to calculate Average Customer Value”. Notice the “(and why)”. It adds context and motivation to click. The topic here is also part of why this worked. Knowing your average customer value is a mission-critical, business-changing piece of information. But it can be a thorny thing to figure out. Is there anything like that your subscribers want to know? Why No One [Biggest Barrier They Struggle With]. You’ve got one day left to [benefit of the action you want them to take]. Urgency is a classic motivator. So is being specific. If you inserted someone’s name into that subject line so it was “Paul, you’ve got one day left to see the future”, it might be killer. Notice how this focuses on the benefit of the action you want them to take, not the action. The action you want them to take may be to sign up for a webinar, or to take a call. Nobody gets excited about either of those things. They get excited about the results they could reap from doing those things. [100+] Ideas for [some task they do a lot]. Massive lists almost always result in massive results. They take longer to come up with, sure. But you’ll have a content asset that’s worth it. Check our new Top [X] List of [Types of Businesses or Job Titles] And See If You Made It. Everybody wants to know if they made the list. Adestra’s 2015 Email Subject Line Analysis found that “Thank you” gets more engagement (opens, clicks and sales) than any other phrase. Pair that up with an emoticon (aka an “emoji”), and you’ve got a powerful subject line. And hey – you’re saying thank you. That’s always a good thing. This is a trick from social media. Ends up, people actually love to help. This would be a good subject line for a survey, or for a contest, or whatever requires participation (above the usual “read this” and “buy this”). As always, try to get some personalization in. And note the ellipsis… half of Ryan Deiss’s top subject lines of 2014 had ellipses. Are you ready for [newsworthy industry change]? Question headlines have probably sold a trillion dollars worth of stuff. There’s no reason they shouldn’t be helping you. This subject line also leverages the power of news – another proven way to get clicks – and folds in a way to place your reader into the action. Another interesting takeaway from the Adestra study was how well pipe symbols lift response. They’re a great way to squeeze more topics into a subject line. They also accommodate shifting subject line sizes across mobile devices. Those subject lines templates should get you a nice lift, but the best way to improve your email marketing is still to test for yourself. Just so happens that all those subject line templates also make for excellent A/B split-test templates. What Should I Look at If My Campaign Isn’t Performing?